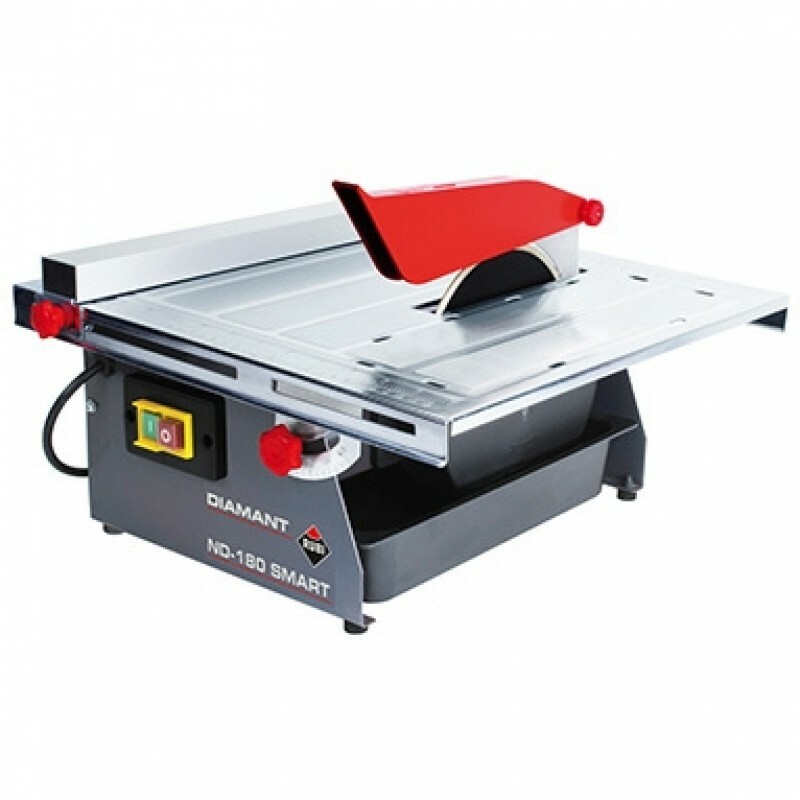 Rubi ND180 Smart Electric Tile Cutter - 230v Cuts all tile lengths and thickness up to 35mm 180mm diamond blade included for cutting ceramic tile Thermic security switch Water refrigeration of the blade Electric cable 1.5mm Foldable table for mitre cuts up to 20cm With lateral stop for repetitive cuts Guide for 45 degree cuts Lateral stop for repetitive cuts Not suitable for intensive cutting of porcelain Dimensions: 385mm x 395mm x 170mm. Weight: 13kg. Blade diameter: 180mm. Bore size: 22.2mm. Maximum cutting thickness: 35mm. Maximum miter cutting thickness: 20mm.